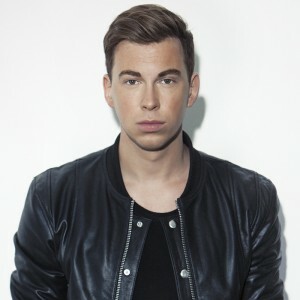 Dutch DJ and producer, DJ Hardwell, will return to perform in RIO after his 2014 Go Hardwell or Go Home tour. Hardwell’s show will be featured during the final night of the RIO Music Carnival festival on February 9th. Read on — Hardwell tells The RIO Times why he loves performing for Brazil and gives insight on his journey through music. RIO’s 70,000-seat samba stadium, Sambadrome, has been the site of weekly fumigation as city officials try to combat the threat of Dengue fever and chikungunya and Zika viruses before this year’s Carnival. The Aedes aegypti mosquito is the culprit behind these illnesses–some linked to birth defects. Read on to find out how the illnesses are spreading and what residents and visitors can do to protect themselves. 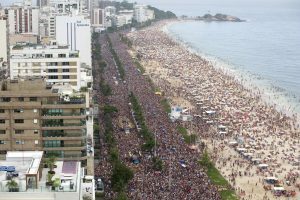 We’ve all asked ourselves this question at some point in our lives: Where do I find the best street parties during RIO Carnival? Well, ponder no more! Just check out this guide to the 500+ blocos (that’s parties) taking place in RIO in celebration of Carnival. 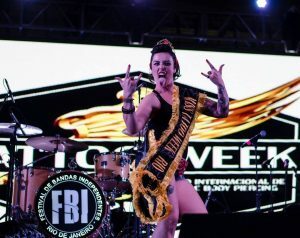 Today is the final day to catch Tattoo Week RIO, the largest tattoo and body piercing convention in Latin America. The convention began on Friday, January 22nd and is being held at the Convenções SulAmérica in Centro. Read on for details. The 2016 Summer Olympic Games should be all about world unity. Still, we can’t ignore the possible dangers facing the competitors and spectators. Andrei Rodrigues, the special safety secretary at Brazil’s Ministry of Justice wants the world to be assured that the country is prepared to handle any threats of terrorism. Read on for details. RIO’s Carnival gets a much-deserved shout-out in this article listing some of the world’s best festivals. Check out the article for a great nod to Carnival, and read on for other world festivals that might interest you! Don’t wait until this summer to visit RIO for the 2016 Summer Olympic Games. This article provides some great reasons to make visiting RIO this summer your one and only goal for the New Year. Read on to find out about the beaches, sport, electric nights (AND MORE!) that make RIO the place to vacation this year! In April, air travelers to RIO will enjoy expansions to the Tom Jobim International Airport, including twice as many duty free retail offerings. When the airport’s South Pier opens, it will include more boarding gates, shops and outlets. The expansion is on track to be unveiled four months before the start of the 2016 Summer Olympic Games. Read the full article here. As if the health crisis in RIO could reach lower depths, officials are now announcing that tourists who visit RIO for the 2016 Summer Olympic Games will find getting health care difficult. 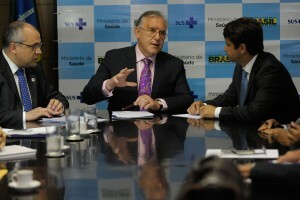 After decreeing a state of emergency for the city’s health system and an announcement of R$45 million in aid from the Brazil Health Ministry, medical leadership say there is much more to be done. Read on to find out what this means for Brazil as the potential for legal action looms ahead. This year’s Carnival in RIO will be marked with more roving street parties, called ‘blocos’, than last year. City authorities announced that 505 blocos will ignite the streets during this year’s festivities. The first official bloco parade will take place in the Port Zone (of Centro) on January 16th. Read on for more details and for the complete list of RIO Carnival 2016 blocos.